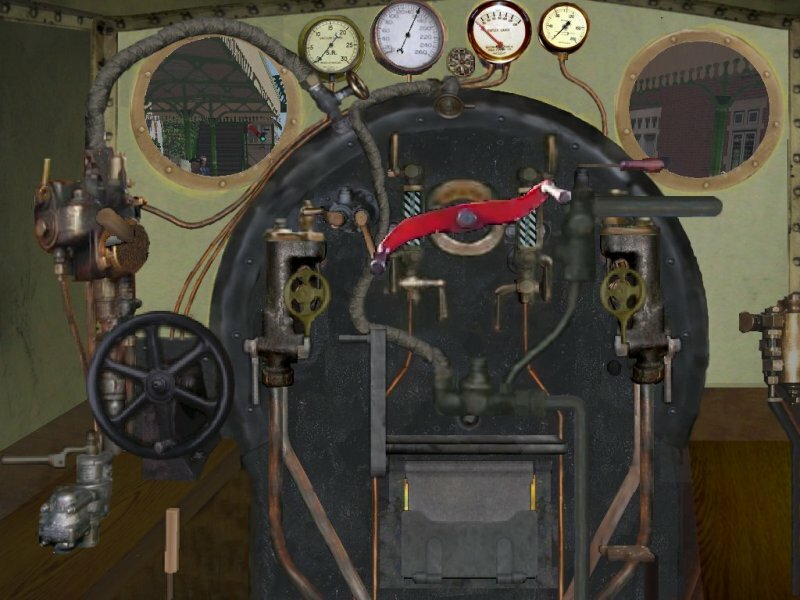 I should like to build a locomotive, but I thought I should make something simpler first. So I have become Bob the Builder. 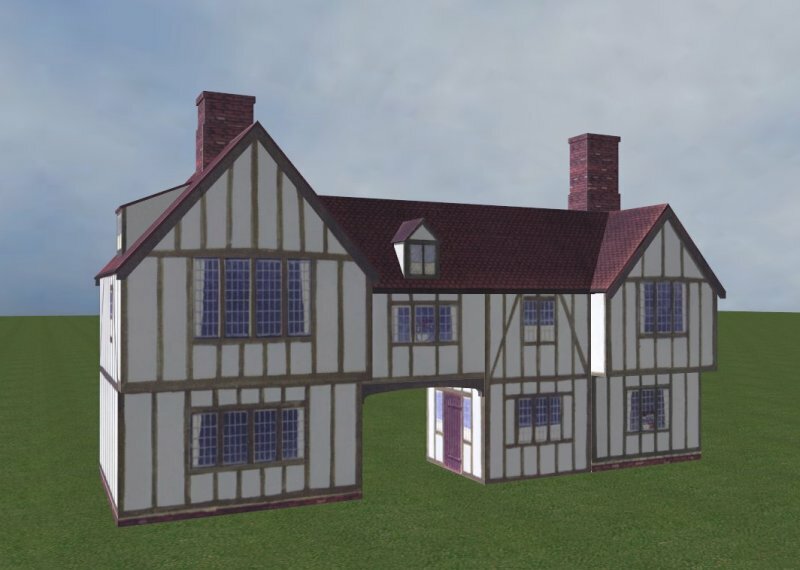 I don't know whether other people might find these buildings useful, but they could be uploaded once the night and snow textures have been done. 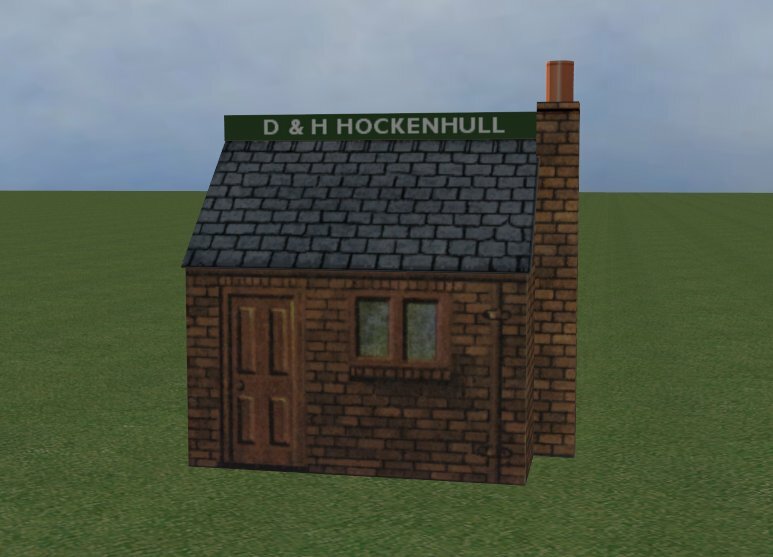 Two have been built by scanning Bilteezi card kits, supplied by Jerry Freestone of Freestone Model Accessories. He says it would be quite all right to upload them. Now they are what I term excellent models, and the idea that helped generate them was first class. Very impressive work for your first attempts, well done! I would strongly recommend uploading them. And of course we can never have too many locomotives! Nice work Roderic, new buildings are always welcome to add variety to routes. Good luck with the loco when come to build it. I fully agree with the other comments. I do have a reminder for any one who uses the church that when placing it the tower is at the WEST end - so many people get this wrong. Something like that has never bothered me, never will! Keep up the good work, Roderic, always nice to have more scenery to choose from. Like Mark said, always nice to have the variety. This one is proving more difficult. Too many polygons: 5048. It will load only after going through Shape Fixer, which says I have an oversized primitive. What does that mean? It sounds rather rude. How do the superb SMJ buildings with recessed windows have less that 2000 polys? Can't answer the question about primitives, but several options spring to mind. 1. Delete polygons that aren't visible; e.g. base of building. 2. Run the shape through Polymaster - somewhere I have some notes that Justin sent me and which I meant to post as an HFL subject! Others may have some alternative suggestions. Thanks a lot. 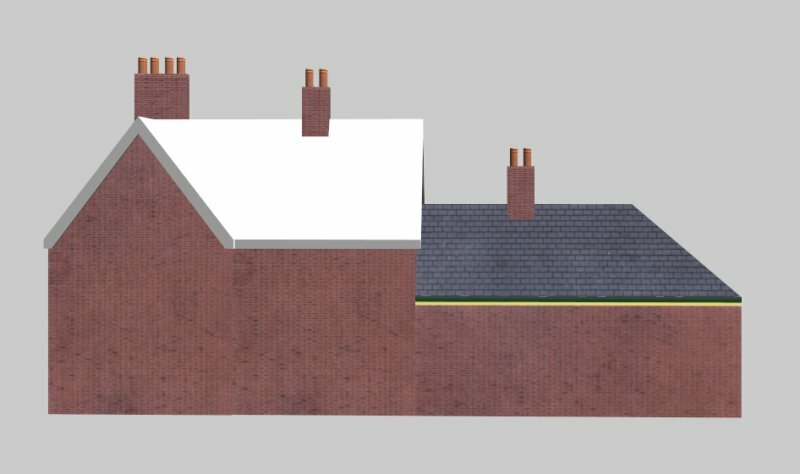 I am removing polygons and making the chimney pots with fewer sections. R.
Thanks a lot for that. I will certainly look into it. 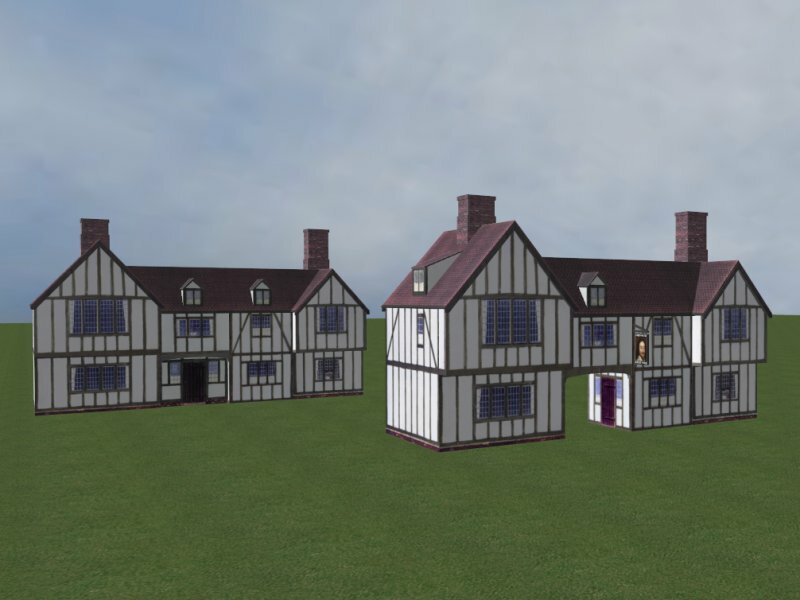 I have uploaded four buildings onto UKTS. 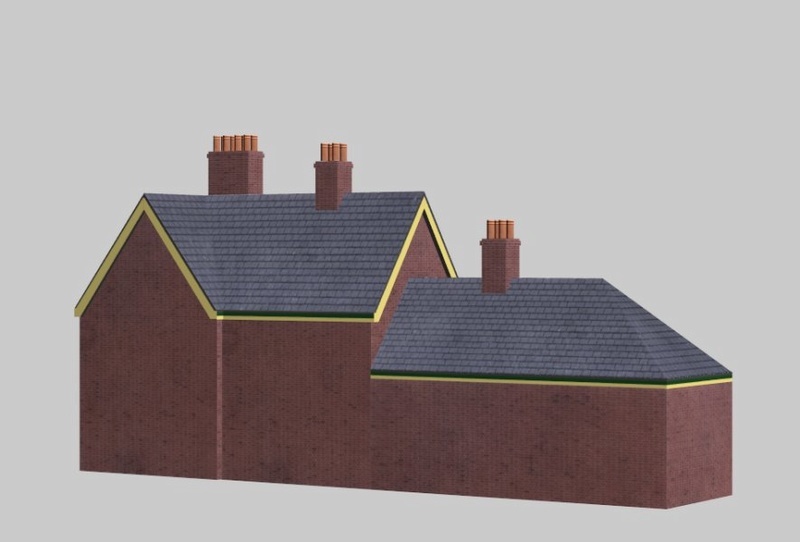 Work is proceeding on a revised station building with steeper roofs. I now have a decent set of photographs of windows and doors from Horsted Keynes and Kingscote. Continuing to impress; very nice work Roderic. . . . . and very nice too! 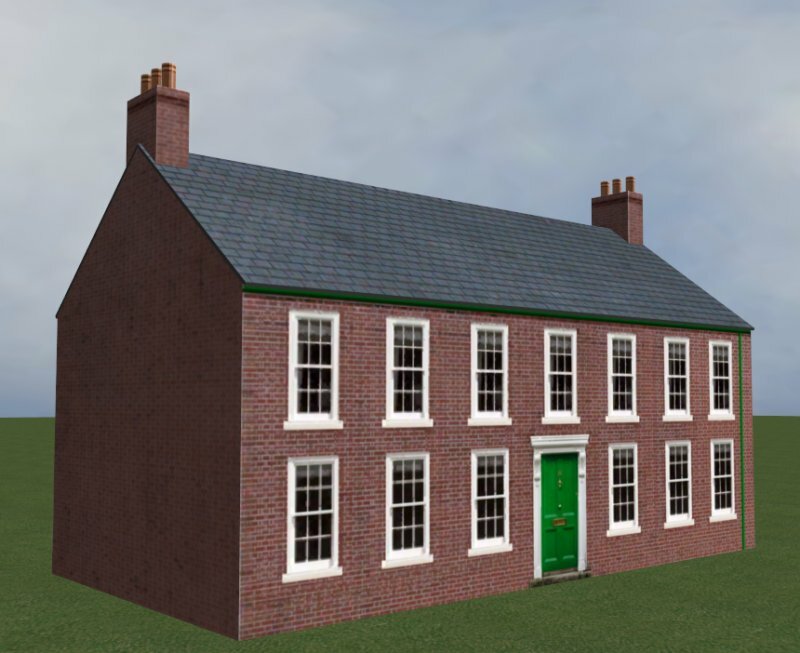 An excellent model with well executed textures!
. . . and very nice too! Well Done Roderic. 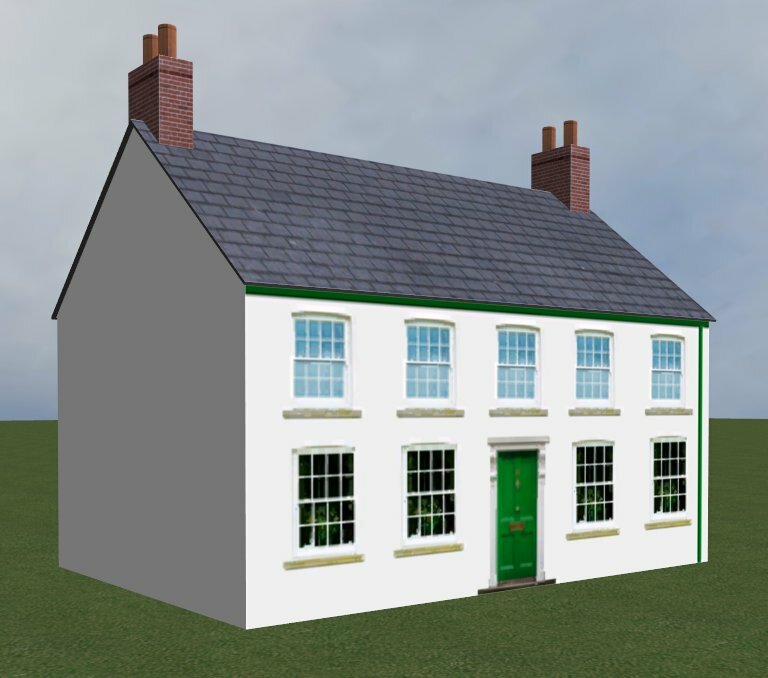 A very nice collection of buildings on this thread. 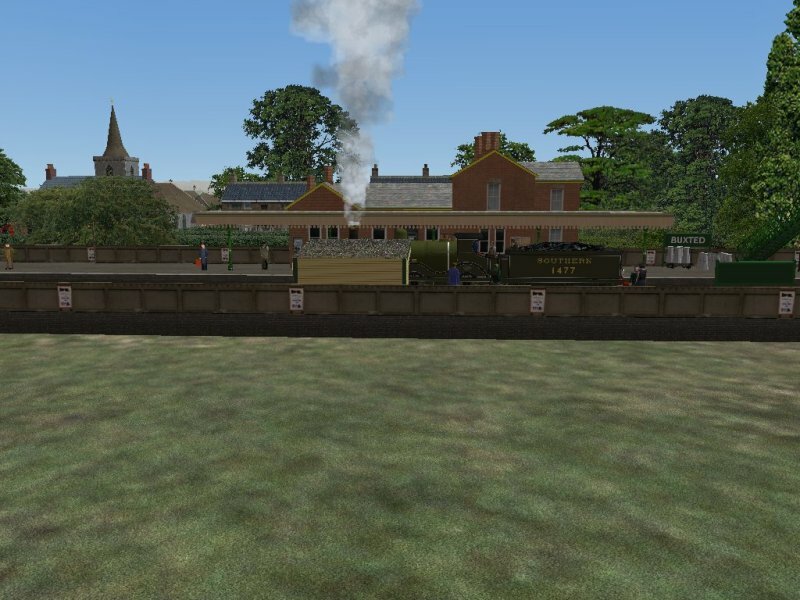 In between working on buildings, I have managed to upload two modified cab views with Darwin Smith's kind permission. 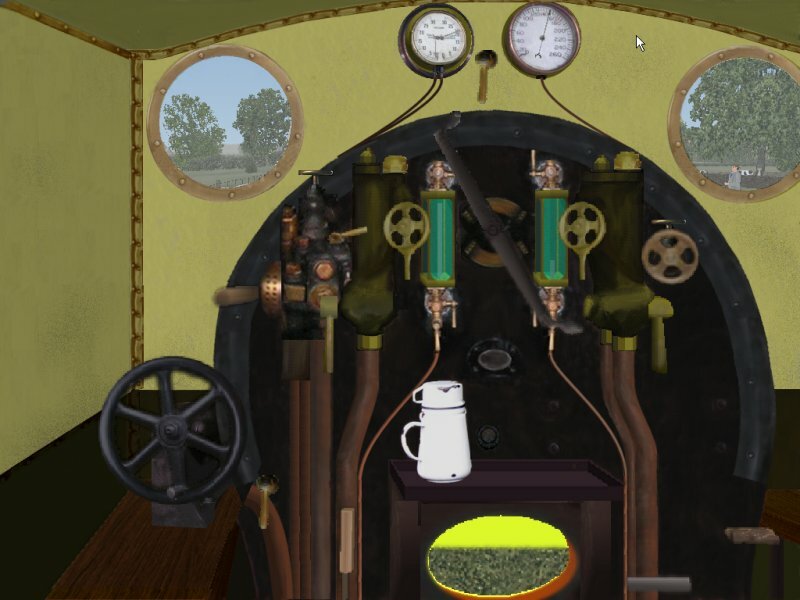 The originals had lever reverse: the modified versions have screw reverse. 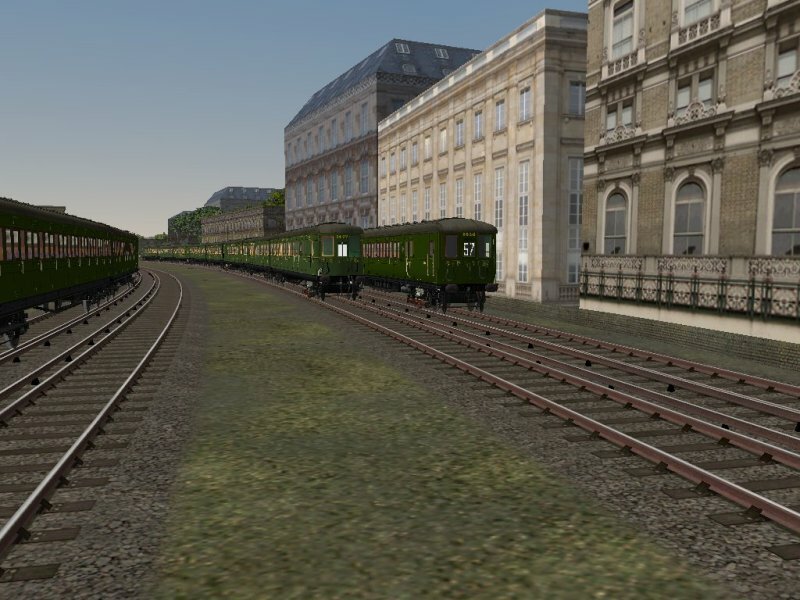 They are not exactly authentic, but they are useful for a lot of older locomotives. For example, the Stroudley E1 0-6-0T had lever reverse, but the D1 0-4-2T had screw reverse. Good to see you spread your wings a little further - so to speak. More good work! 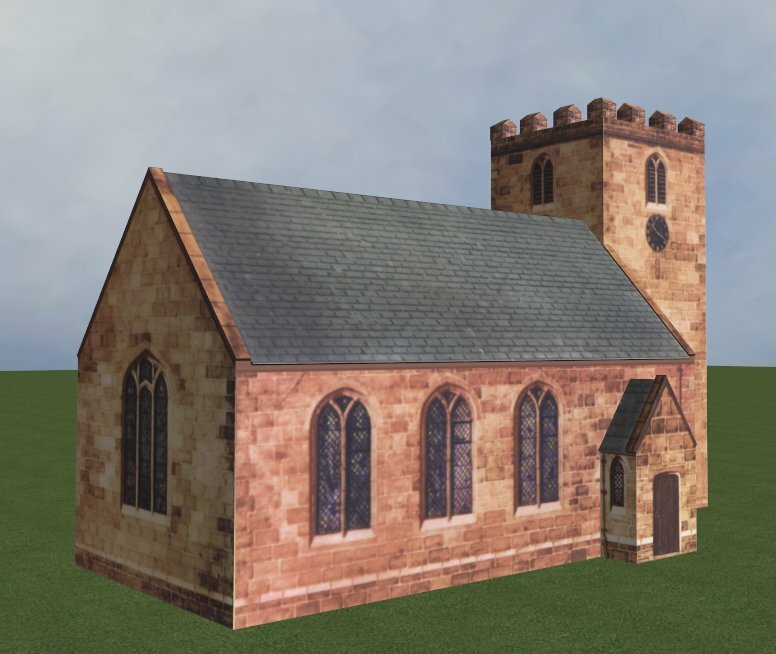 The church I made some time ago has had 100 downloads, so I have built another one, adding a chancel. This is a bit of a wangle. 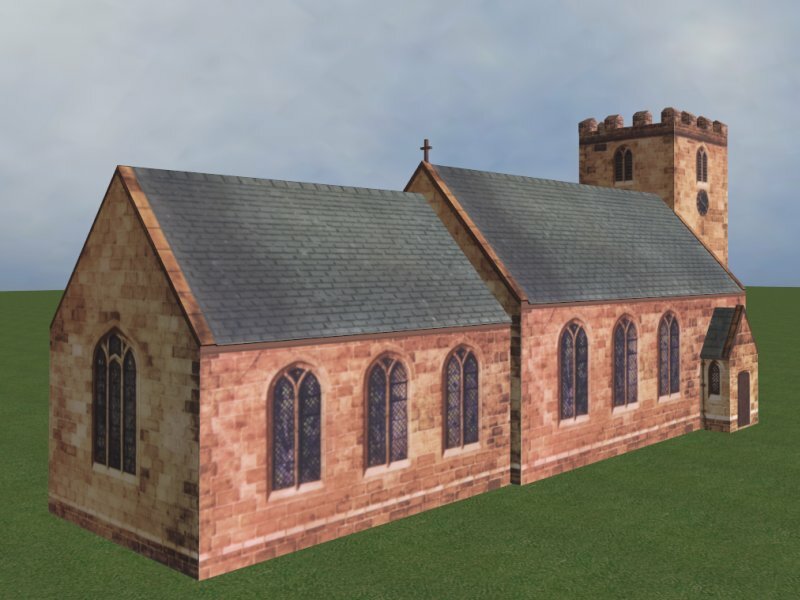 I copied every part of the nave and its roof, shunted them eastwards and reduced them to nine tenths of their original size. I put a small cross on the eastern end of the nave roof. As Punch would say:- "That's the way to do it!". Looks very good, and when can we expect a cathedral? Very impressive model, well done! 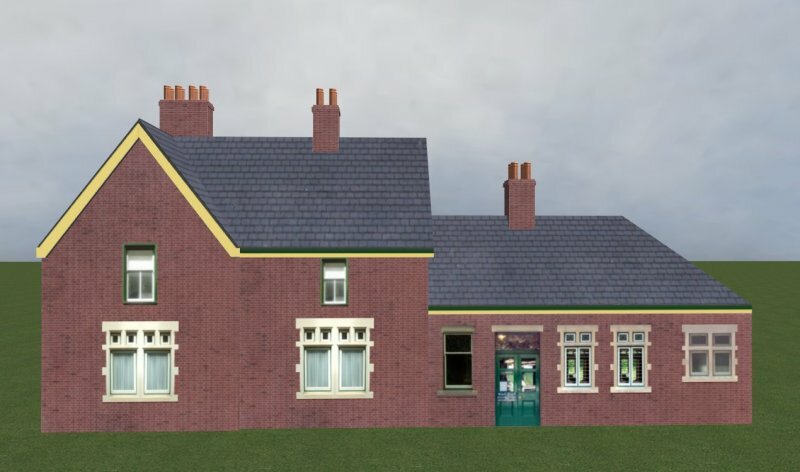 I made this station building in the summer, based on photographs of Buxted. I think the parts of the building at right angles to the platform need to be shortened. Night and snow textures need to be done. I use Canopy Acton, downloaded from UKTS because it can cope with varying platform widths by being sunk into the building. I'd like to second that!! It's a very realistic looking scene. Just out of interest, what is "Canopy Acton" - I couldn't find it on a UKTS search. Thank you for the kind remarks. UKTS 13884 is billed as 30 metre Station Canopies. The filename, once you have downloaded it, is Canopy Acton. Sorry to cause confusion. Very useful: you can have one or you can have two which need skillful joining in the middle open ends. 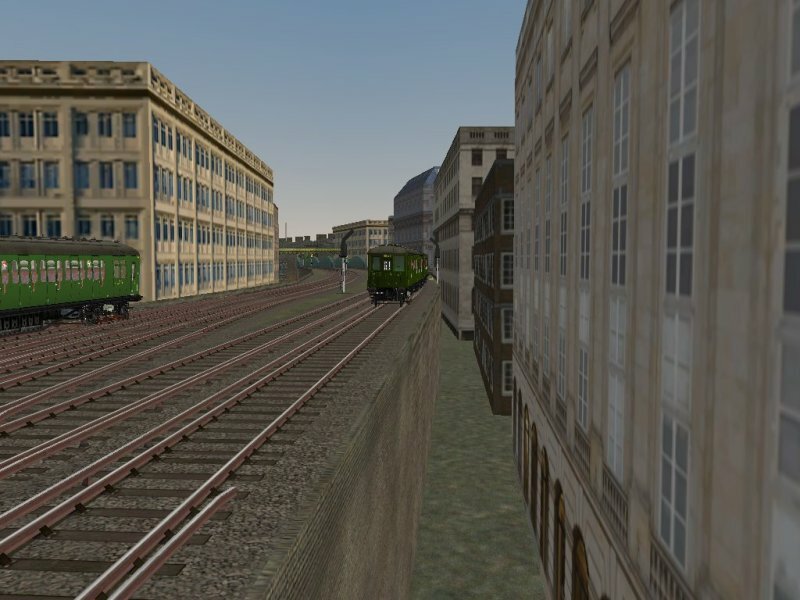 The rather too clean building on the right, partly concealed by trains to and from Cannon Street, was made using a texture from Textures.com. 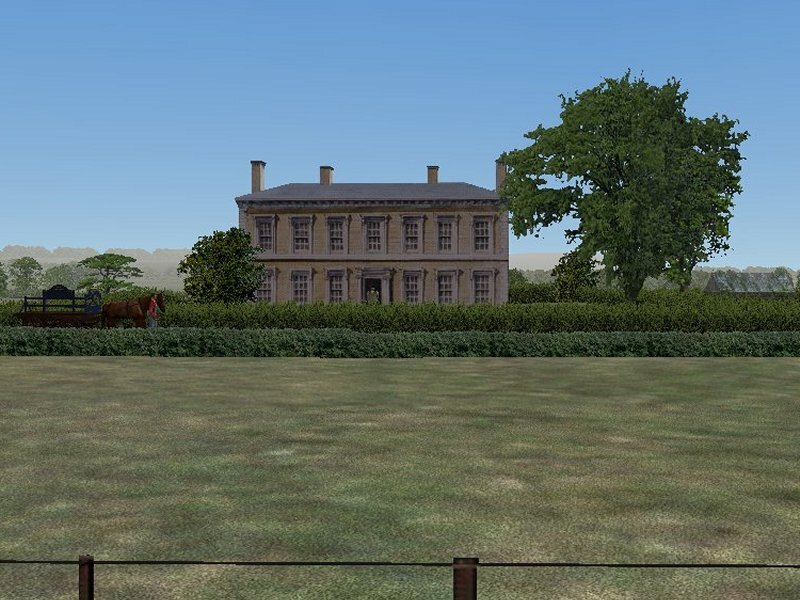 The office building on the left was made using a texture from the Sketchup Texture site, which is a very useful source of textures. The texture application looks spot on - good work! I made these two one weekend from a Bilteezi sheet. 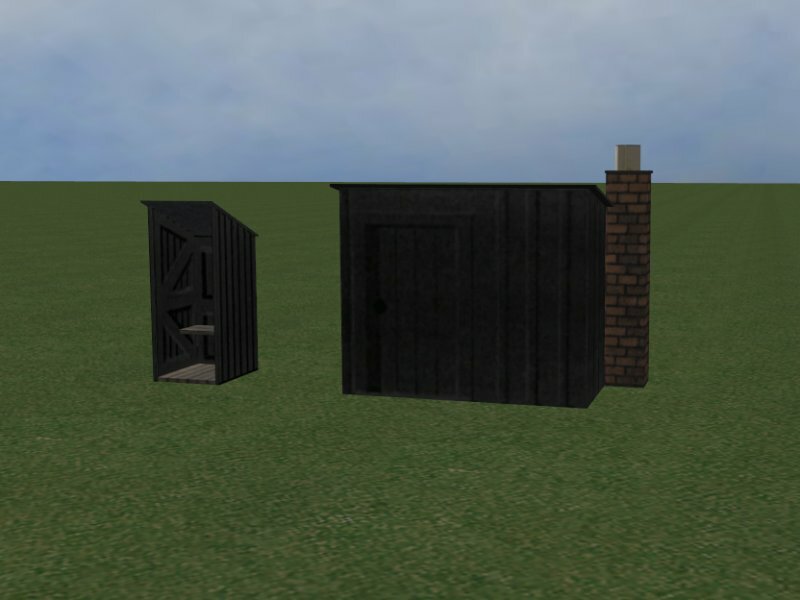 I am not sure where to put the fogman's hut - near a signal, I know, but which: distant, home or starting? Those huts look good, but I can't answer where they would be located. When you say you used a Bilteezi sheet, I assumed you scanned the sheet and scaled up in TSM? Thanks, Alec. Yes, I scanned the Bilteezi sheets and, as they are 4 mm to the foot, it is easy to work out the size of the buildings. I hope to do lots more eventually. Though rather flat and old fashioned, they have a certain amount of charm. I made a model village when I was about 12-13, and I do think the artwork is delightful. I expect I have seen dozens of photographs with fogmen's huts in them and never noticed. I hope we shall find the answer eventually. 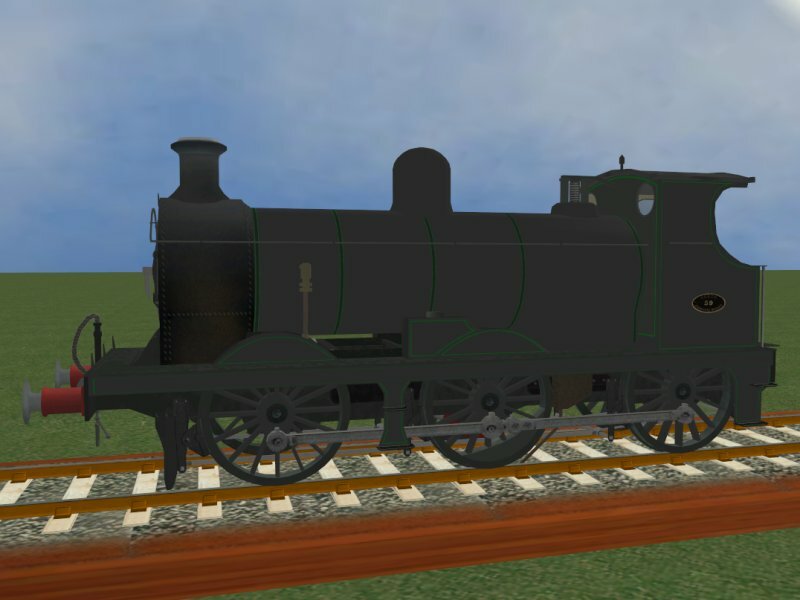 Hi Roderic......I have a vague memory that you did a reskin of my H Class into Maunsell Green......did you? I started a reskin earlier today then had the thought that it might have been done already. Yes, I did a reskin and uploaded it with your permission to UKTS. I am half way through doing the Wainwright C in black with green lining. What would be nice is a D1 or E1 in Maunsell green. This as far as I have got with the Wainwright C. The lining on the front of the cab is not quite right and the dark grey looks rather lifeless. This should really be in "Roderic's Works" as this place is for buildings. Roderic, would you give me the UKTS ID for your H Class reskin please...I can't find it. I did 4 C Class for SouthEast and 3 of them were intentionally grubby - you could be using one of these. Try 31588, this one is more shiny and will probably suit. The file ID of the re-skinned H is 36611. For some reason, it did not have an operating company or anything else you could find it by. I hope I have put this right now. Roderic F.